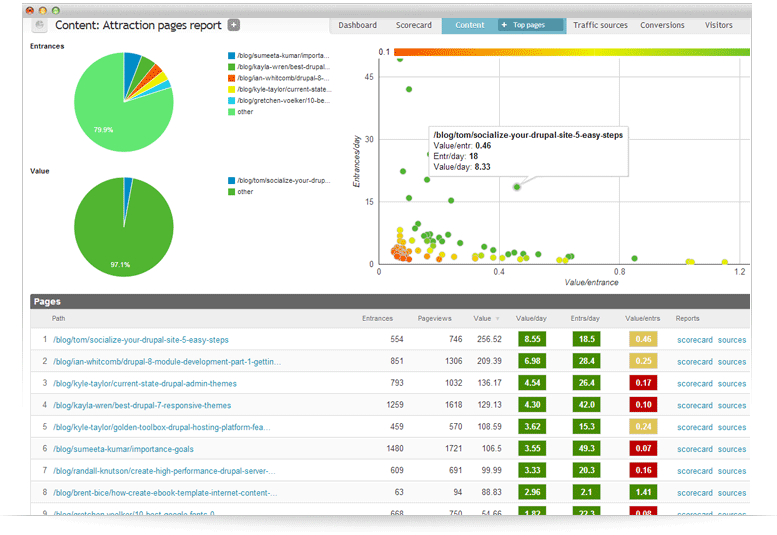 Open Enterprise Intelligence™ deeply integrates Drupal with Google Analytics, providing you with detailed insights into your site's traffic, content/contributor value and user engagement. 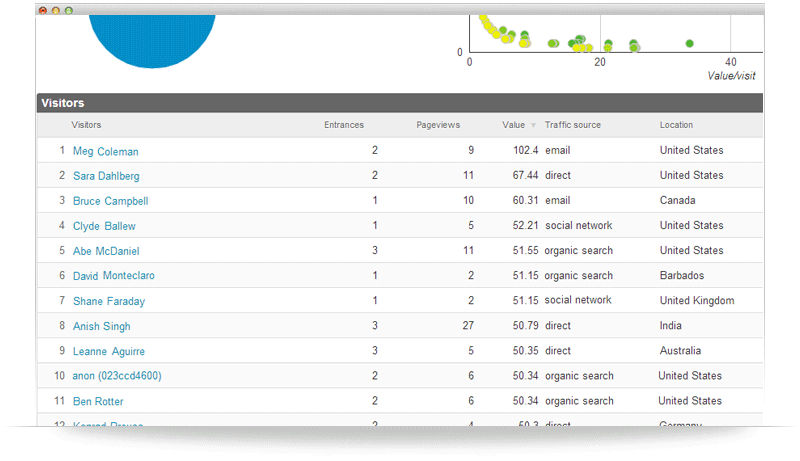 Intelligence is like having Google Analytics (on steroids) injected directly into your website. If you can't measure it, you can't manage it. Open Enterprise Intelligence™ extends standard Google Analytics so you can analyze broader and deeper. 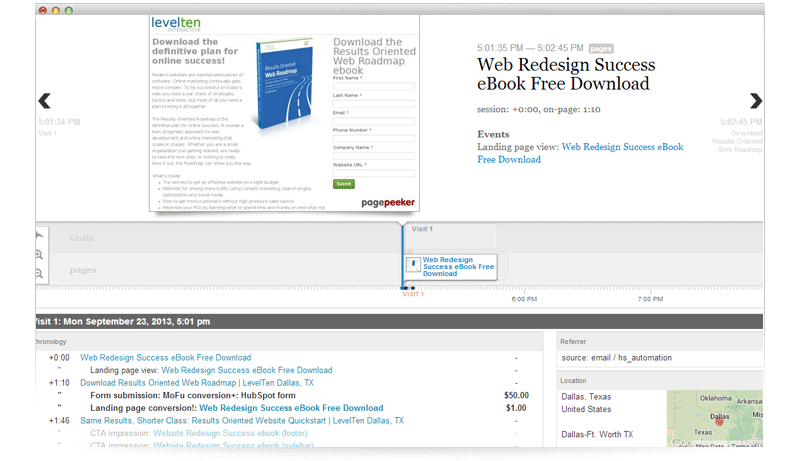 Move beyond basic page views with extended event tracking and segmentation. 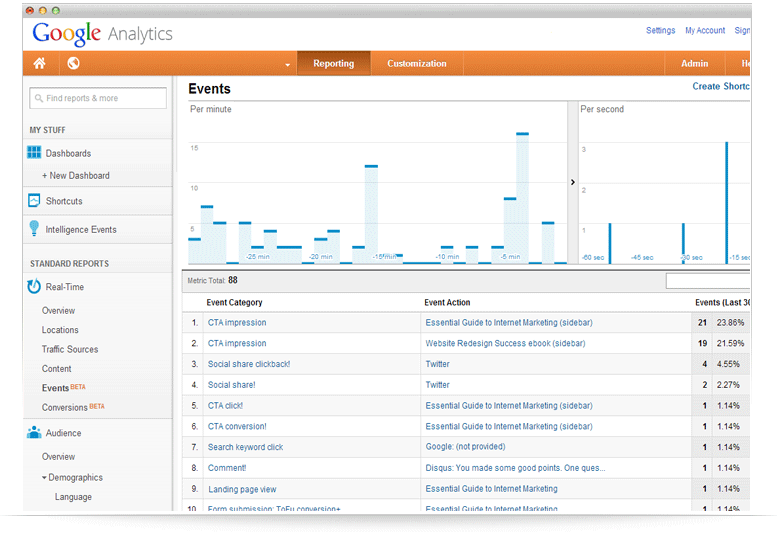 Google Analytics is great, but let's face it – how much do you really use it? The goal is to empower people to make better decisions. So we put the data where people will actually use it, in the CMS. Intelligence seamlessly integrates analytics data and enhanced reports into Drupal's admin to make sure you’re always well informed. Traditional analytics is the leading cause of volume metrics tunnel vision. 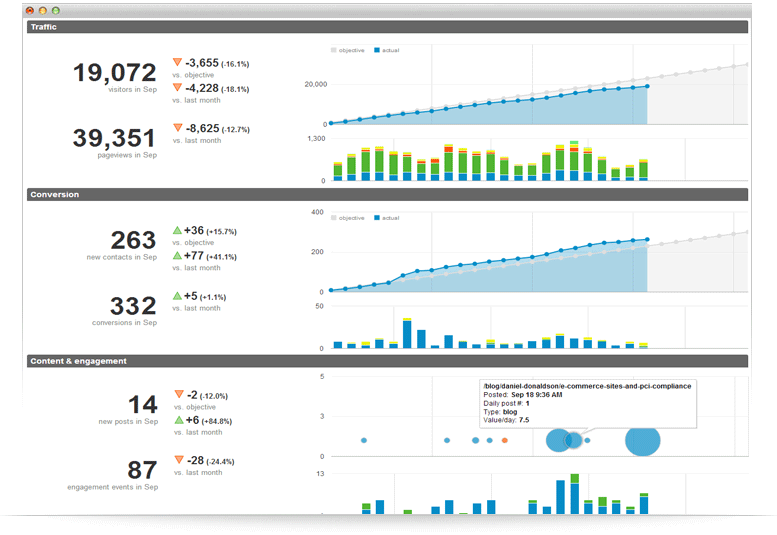 Now you can associate scores with key metrics summing dozens of data points into a single, easy to understand value. Discover the signal through the noise and regain your sanity. Is your best data hidden away in pieced together spreadsheets? No more. 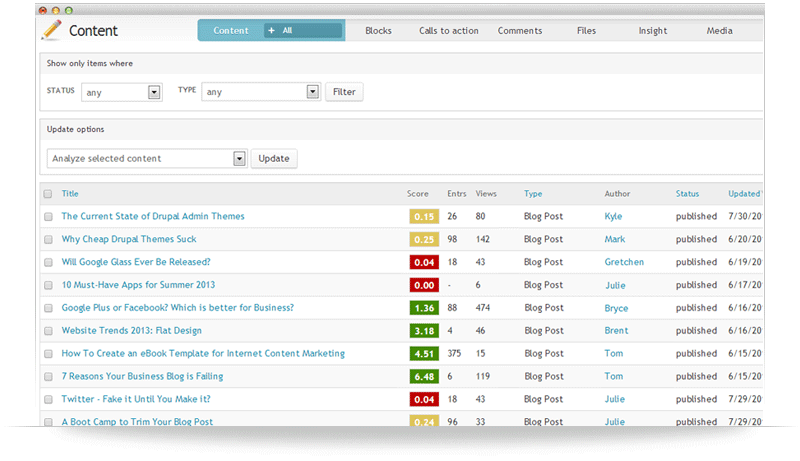 Drupal integrated scorecards provide a 360 degree view of what is driving value for content, traffic sources and visitors. In a single click authors can understand what content is truly king (and why), marketers can identify the most effective channels, analyst can uncover insights faster and stakeholders can know what is driving ROI. The first step to reaching your goals is to define them. The second is to communicate them with the team and the third is to track your progress. The executive dashboard gives you the ultimate hat trick, all three steps integrated directly into Drupal so the team always know how they are progressing. It's not just about page views and events generated by faceless masses. It’s about understanding each person. 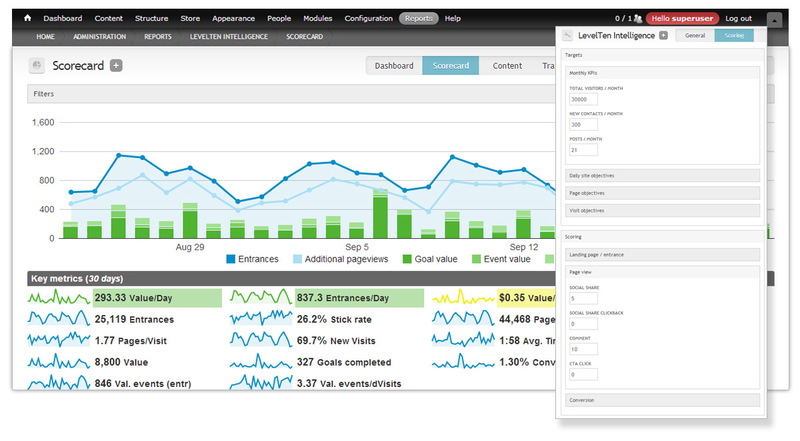 Open Enterprise Intellignece™ enables you to track individual visitors to your site. See who has viewed specific pages, shared a blog post, or visited your site from Facebook – and of course, determine who your Most Valuable People (MVPs) are. You can’t sell to someone you don’t understand. Yet it's said you can’t understand someone till you walk in their shoes. Now you can do the next best thing; virtually following their journey. 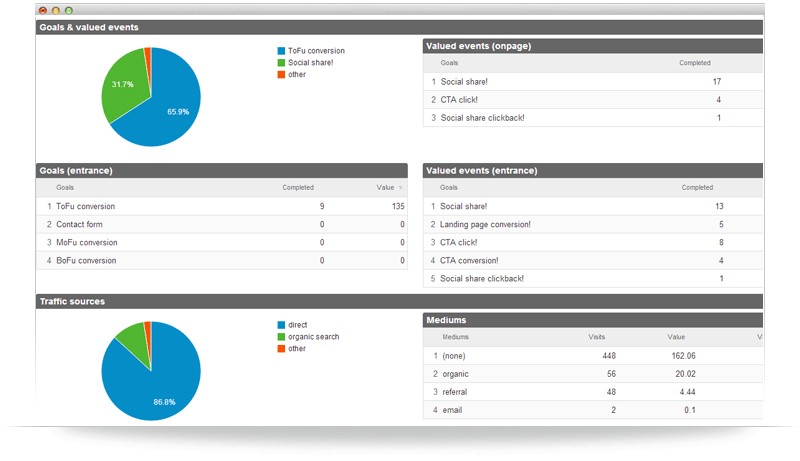 With Intelligence you can retrace your visitors steps in both report form or a nifty virtual clickstream.